A society grows great, when men plant trees whose shade they know they shall never sit in. Eric Irwin was not one to sit back. He got involved. It was his calling. He loved to provide suggestions and make improvements. Eric was the kind of guy who would say, "move over, let me help you with that". He was not ever scared to get his hands dirty. 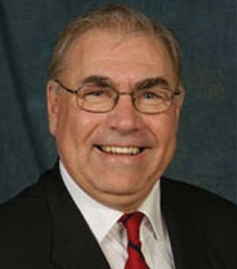 Eric owned the prominent law office "Irwin Law" in Dauphin since 1980, he was a cattle farmer, and was very involved in the hockey community, he played in the noon hour hockey league, he was the President of the Dauphin Coop, he was on the board of the Countryfest Cinema, he was the Sargeant at Arms for the Dauphin Rotary, and he somewhere also found the time to be the Mayor of Dauphin. I don’t think he ever slept. He is often referred to by locals as "larger than life" and an "amazing Pillar of the community". In the midst of all that was happening around him, Eric still found time to be an incredible family man. His wife Kim, joined him at numerous events throughout the year and travelled with him. His boys, Sean and Ryan, and his daughter Erica fondly remember the family’s annual fishing trips, their dad coaching hockey and being there for figure skating competitions. He was very proud of his family and their own individual accomplishments. Arguably one of Eric’s greatest legacies, besides his family, is the longest running Canadian Country Music Festival….. Dauphin’s Countryfest. He started with the Countryfest board in 1992 and soon after (in 1996) became and remained President right up until his untimely passing on November 24, 2017. Eric has been instrumental in helping numerous musicians from right here in Manitoba. Eric’s influence goes beyond the Festival and helping artists in this province develop. 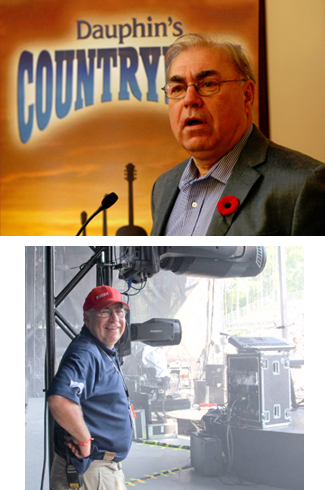 He was proud and made sure that Dauphin’s Countryfest invested back locally and has provided grants to help build an arena and a pool, built the Countryfest Community Cinema, and invested over $3 million back into the festival site to improve seating staging and the campgrounds. Eric enjoyed seeing the economic spinoff and opportunity for the local groups and organizations (such as minor sports teams, band parents, Rotary and Kinsmen clubs, among others). They all got to roll up their sleeves and fundraise for their organization with Countryfest paying out approximately $150,000 annually to the "volunteer" workforce. Eric’s modern day vision helped us all to see past the skeptics on what could be accomplished. He used people’s "that will never happen" as motivation to prove what was possible. He loved rural Manitoba and felt it deserved as much attention as anywhere else.